Give to help us build a better community through tennis and education! Help us provide partial or full scholarships for children to attend camp. Give as a team, volunteer your time, or be a corporate donor to support our youth and Tennis Memphis. 80% of the children who attend the NJTL Tennis Summer Camps attend for free or pay a reduced rate. The monies raised through this campaign provide partial or full scholarships for children to attend camp. Be a PowerServer. This is Tennis Memphis’ main fundraising event and funds the majority of our outreach activities. We need your help to make it bigger and better than ever! Go to event page. Sponsorships enable Tennis Memphis to combine the healthy sport with character building, mentorship and fun. Corporate support ensures that kids across the city have an opportunity to learn and play tennis. Learn more about corporate sponsorships. Kroger Community Rewards program donates a percentage of your purchases to Tennis Memphis every time you shop. Add Rewards to Kroger Card. Select Tennis Memphis as your designated non-profit ans Amazon will donate a portion of the total every time you shop with Amazon. Give through AmazonSmile.  Designate Tennis Memphis as the 501(c)(3) agency to support in the United Way of the Mid-South service area. Complete a United Way pledge form. CourtingExcellence from Constance Dyson on Vimeo.